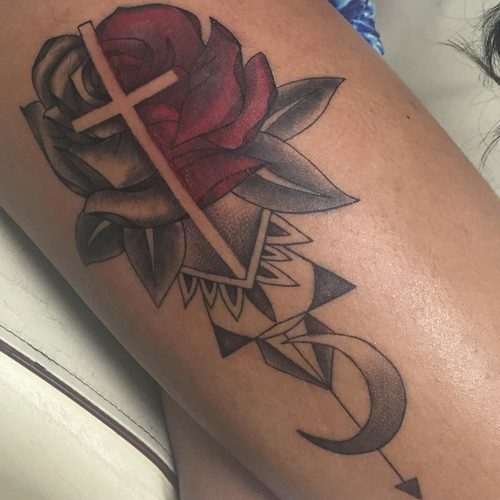 Molly Brazy has a beautiful rose design on her right thigh. 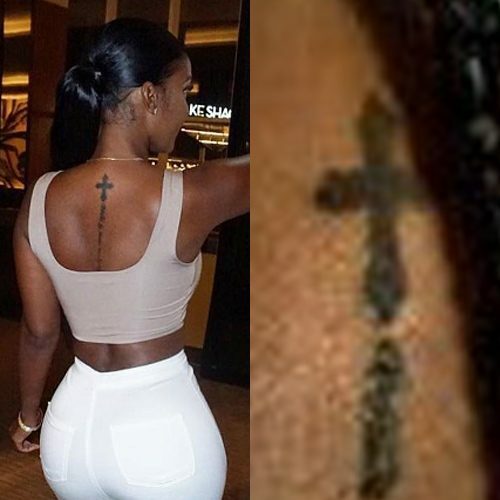 Bernice Burgos has a cross tattoo on her back. Stefanie Knight has a tiny cross tattoo on her index finger. 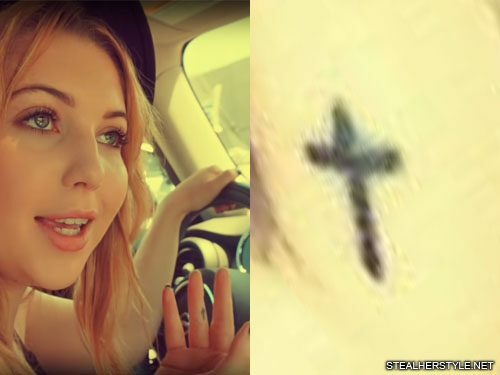 Sammi Hanratty’s first tattoo was a cross on her right ring finger, which she got in July 2014. 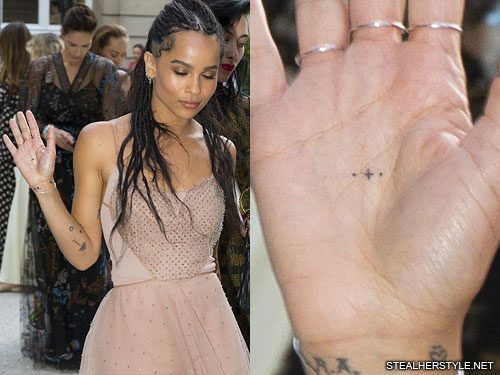 “Smallest tattoo ever…I LOVE IT!! 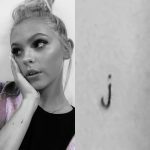 !” she tweeted. 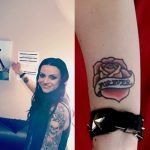 She chose the cross because she is a devoted Christian. 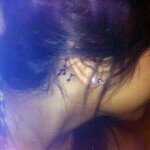 Brenda Song has a cross tattoo on her left side. 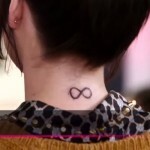 Pauley Perrette has a tiny cross tattoo on her right ankle. 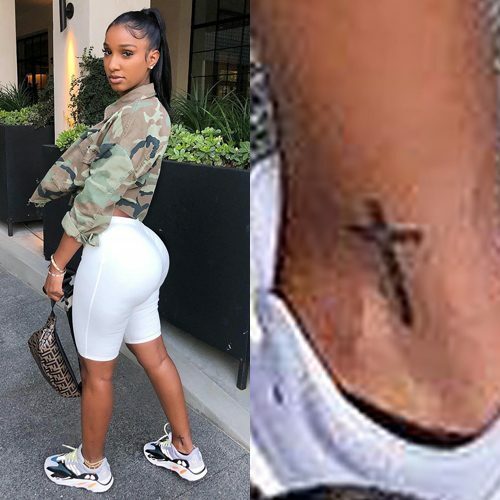 Bernice Burgos has a tiny cross tattoo on her right ankle. 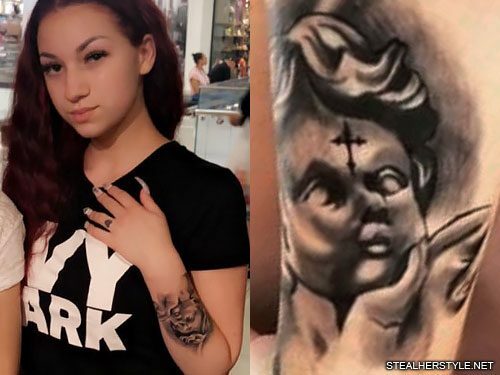 Danielle Bregoli got a tattoo on the back of her left forearm in August 2018 depicting the face of a cherub statue. The cross on the forehead of the cherub is a symbol of allegiance to God, inspired by several passages of the Christian Bible. 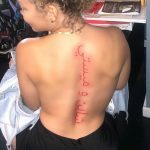 When God wants to destroy the city of Judah in Ezekiel 9:4, God says to put a cross on the forehead of people who are saddened by the abominations committed there so that they will be spared. In Revelation 7:3 the angels put a seal on the foreheads of servants of God. Statues of Christian figures never include a cross on the forehead, however there are many historical examples of vandalism by early Christians who carved crosses into ancient Greek and Roman statues to “Christianize” them. 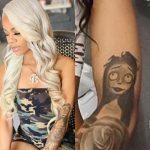 Brittany Furlan has a cross tattoo on her left wrist.